Who will fill the vacuum left by the American great designer? 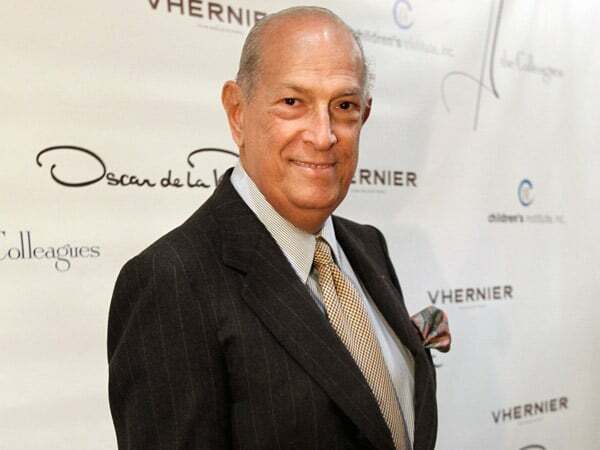 Legendary stalwart fashion designer Oscar de la Renta has this evening died, succumbing to cancer at the age of 82. The designer’s death comes after having been in and out of chemotherapy over the last few several weeks told to a source. Regarded as one of the most prominent designers on the planet, the designer first came into prominence when he first took to dressing the dames of the 1960’s, including the doyen of then jet set society, Jackie Kennedy. The designer’s reputation and formidable talents would extend him to being the point man to the next crop of arrivestes, first ladies (this time Nancy Reagan in the 80’s, Hillary Clinton in the 90’s as well as Laura Bush and Princess Di), NYC socialites and celebrities including Cameron Diaz, Sarah Jessica Parker and Penelope Cruz. The designer’s latest feat (and perhaps all too fittingly) saw him design Amal Clooney‘s wedding dress. The fashion great’s death comes after battling cancer since first being diagnosed in 2006, yet as gawker note this evening the cause of death has yet to be revealed. Despite being noted for his suaveness, sense of luxury, sophistication the designer was also the one designer who would also take a chance on ousted Chanel designer John Galliano before the two fashion greats would part ways, why exactly not necessarily conferred with the public at large. 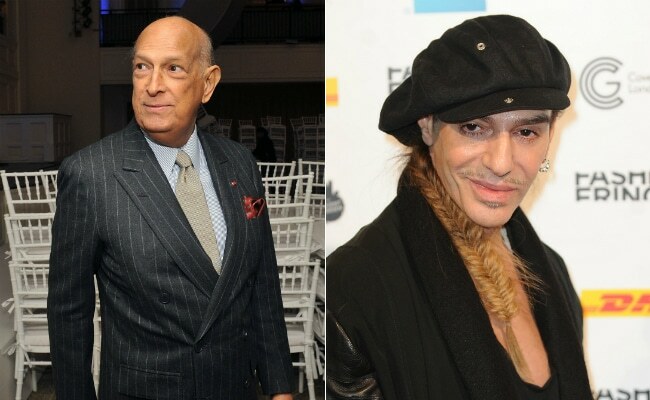 The designer at the time was congratulated for his audacious move but many secretly wondered if he was signing his own death warrant by bringing on the outspoken Galliano who it seems has yet to be taken back by the madams who so ardently once loved him. An audience that Oscar de la Renta always had by his side at the many events he was often seen presiding over in the last many years as the doyen kept himself busy despite the personal tribulations he must have been undergoing to the knowledge of only a select few. Notes Variety: Born in the Dominican Republic to a powerful family, de la Renta went to study painting in Spain and became and apprenticed with Cristobal Balenciaga before moving to Paris to work at Lanvin and Balmain. He launched his ready-to-wear label in 1965 in New York. He married Francois Langlade, editor of French Vogue, who died in 1983. His second wife, who survives him, is philanthropist Annette Reed. Mr Oscar de la Renta will be horribly missed, always a humble man for this scoundrel to pester with the awkward question or two at the occasional gala or two. 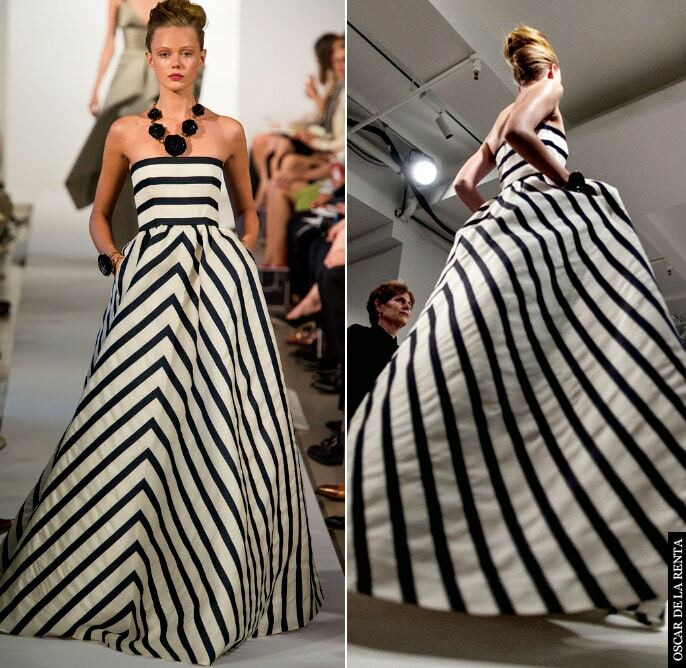 Who do we dare will now take up the mantle that Oscar de la Renta leaves behind as the master American designer? Tells smh.com.au: Coincidentally just last week de la Renta officially named ex-Nina Ricci designer, Peter Copping as his creative successor at his eponymous label. Oscar de la Renta outfits on display in Dallas in July. 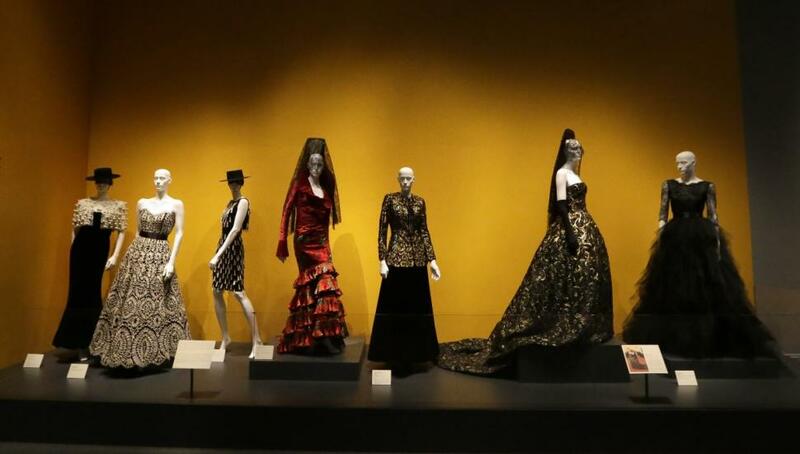 The ensembles are among more than 60 featured in a new retrospective on de la Renta’s career that opens Saturday at the George W. Bush Library and Museum. “Oscar de la Renta: Five Decades of Style,” which runs through Oct. 5, features designs worn by everyone from celebrities to socialites to first ladies.